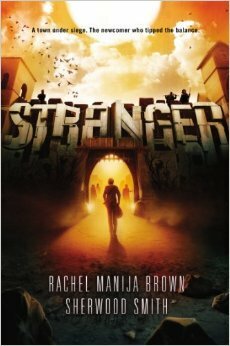 In the sequel to Stranger, Ross get kidnapped by King Voske and forced to prospect for ancient weapons. Jennie and Mia will stop at nothing to free him. 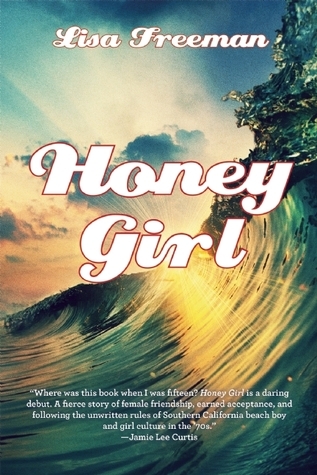 The book introduces two new characters: Kerry, Paco’s half-sister, and Santiago. Kerry and Santiago don’t introduce more queer characters, though we get to see more of Brisa and Becky. Welcome back to Las Anclas, a frontier town in the post-apocalyptic Wild West. In Las Anclas, the skull-faced sheriff possesses superhuman strength, the doctor can speed up time, and the squirrels can teleport sandwiches out of your hands. In book one, Stranger, teenage prospector Ross Juarez stumbled into town half-dead, bringing with him a precious artifact, a power no one has ever had before, and a whole lot of trouble— including an invasion by Voske, the king of Gold Point. The town defeated Voske’s army, with the deciding blow struck by Ross, but at a great cost. 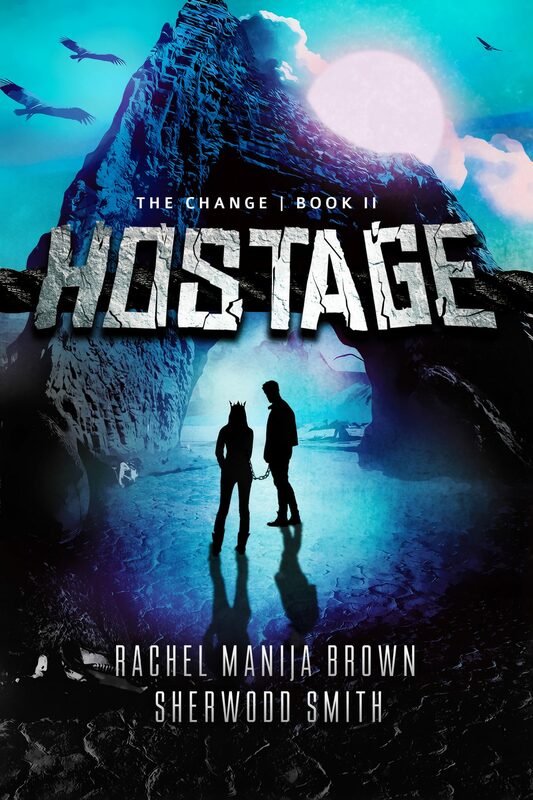 In Hostage, a team sent by King Voske captures Ross and takes him to Gold Point. There he meets Kerry, Voske’s teenage daughter, who has been trained to be as ruthless as her father. While his friends in Las Anclas desperately try to rescue him, Ross is forced to engage in a battle of wills with the king himself. Ross and Jennie have PTSD. Ross has lessened mobility in his left hand and is using a prosthetic hand to regain some of that mobility. In a post-apocalyptic world, a young prospector named Ross has stolen a potentially invaluable artifact: a book. In the town of Las Anclas, he finds something he’s never had: a home. He befriends several other teenagers and falls in love. The story is filled with diverse characters and homosexuality is visibly accepted. Racism restricts itself to comments directed at the Changed, people with special abilities such as Jennie’s telepathy. Ross has PTSD and has lost some of the mobility in his right hand. He also never learned to read as a child. Additional Notes: Throughout the story a polyamorous relationship starts to develop. When Joshua’s mother leaves him with his grandfather, Joshua gets to explore his Native heritage. Joshua is a gay Native teen struggling to come to terms with his sexuality and discovering his Native heritage. 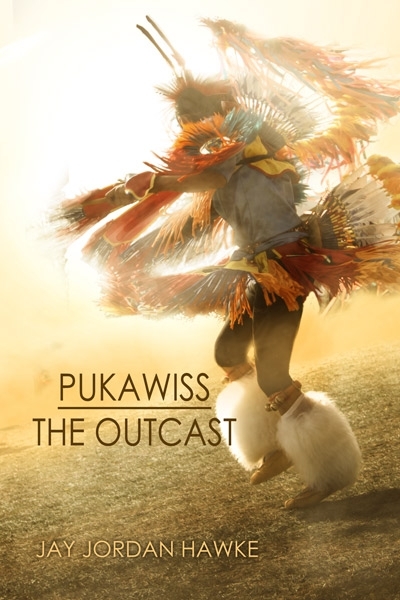 See this review by renowned Nambe Pueblo Indian critic Debbie Reese about the harmful stereotypes and misrepresentation of Ojibwe culture and beliefs in this book. An anthology of short stories by Indigenous authors of various backgrounds, genders, and orientations. After opening with essays on Two-Spirit history and literature, the book features speculative fiction that explores the past, present, and future through Indigenous and LGBTQIAP+ perspectives. 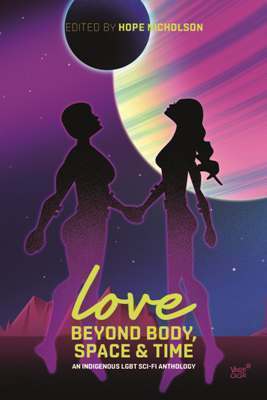 While Love Beyond Body, Space, and Time is primarily published for adults, the anthology has a high level of teen appeal and includes teen characters. Love Beyond Body, Space, and Time is a collection of indigenous science fiction and urban fantasy focusing on LGBT and two-spirit characters. These stories range from a transgender woman undergoing an experimental medication that enables her to live the lives of her maternal ancestors to young lovers separated through decades and meeting in the future. These are stories of machines and magic, love and self-love. Cherie Dimaline – “Legends are Made, Not Born” – A story of the power of family and more. Auntie Dave teaches a young boy about the responsibility and power of Two-Spirited identity. Genre: Speculative fiction (including science fiction). Some of the stories also have romantic elements. Trans girls: The unnamed MC in “Transitions” is a transgender woman. She uses “transgender” and “transwoman” on the page. Non-binary: The unnamed MC in “Transitions” mentions her non-binary friend, Sten. Sten is not shown on the page. “Aliens”: Jimmy (one of the MCs) is speculated to be Aayahkwew by the unnamed narrator. Jimmy is referred to as a man by the side character Roberta. Jimmy never states his gender. “Legends are Made, Not Born”: Auntie Dave (a secondary character) is Two-Spirit. It is not stated whether he considers that to be his gender. “Imposter Syndrome”: Aanji (the MC) is a noncitizen artificial life form. Aanji presents as non-male and male at different points, corresponding respectively with she/her pronouns and he/him pronouns. Aanji seems to prefer presenting as non-male and using she/her pronouns. “Aliens”: The unnamed narrator speculates, “But in my mind [Jimmy]’s what the Crees say: Aayahkwew: neither man or woman but both.” Jimmy never states how he identifies. “Legends are Made, Not Born”: Auntie Dave (a secondary character) is Two-Spirit. He uses “Two-Spirited” and “Two-Spirits” on the page. Gay: The MC in “Legends are Made, Not Born” is gay. He uses “gay” on the page. Lesbian: Dottie (the MC in “Né łe!”) and Cora (a secondary character in “Né łe!”) are lesbians. Cora uses “lesbian” on the page. “Perfectly You”: Emma (the MC—a girl) is attracted to Cassie (a secondary character—implied to be a girl). Neither states their orientation. “The Boys Who Became the Hummingbirds”: Strange Boy (the MC) and Shadow Boy (a secondary character) are attracted to each other. Neither states their orientation. “Valediction at the Star View Motel”: Eadie (the MC—a girl) and Mushkeg (a secondary character—a girl) are attracted to each other. Neither states their orientation. Aromantic: Aanji (the MC in “Imposter Syndrome”) says, “You know I don’t do romance. I don’t have those urges.” The word “aromantic” is not on the page. The other characters’ romantic orientations are not explicitly stated. They might be presumed to be the same as their sexual orientations. In the 1870s, Lesbian/Queer female botanist and colonist Ingrid travels through Western Australia and falls for Ellyn. Features problematic portrayal of Aboriginals. 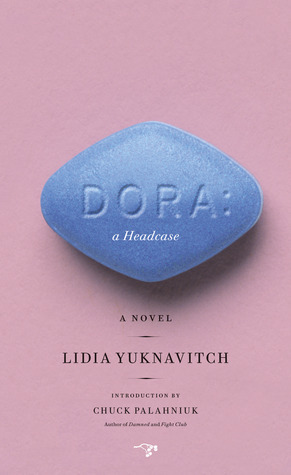 This contemporary retelling of Freud’s Dora follows Ida as she manipulates her new psychologist. Ida has been sexually assaulted by her neighbor and is surrounded by a group of friends including a trans woman, gay friend, a girl with bulimia, and a Native American girl love interest. a trans woman, gay Teena, a girl with bulimia, and a Native American girl. 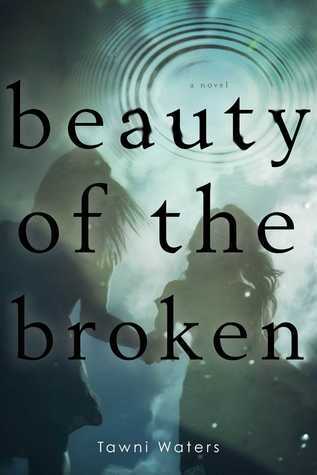 In this violent, painful novel, Mara begins a relationship with Xylia despite a homophobic, abusive father who has caused permanent brain damage to her brother. She is raped and accidentally accuses her best friend, who is a Native American of unspecified tribe. Mara knows she can’t live without Xylia, but can she live with an entire town who believes she is an abomination worse than the gravest sin?